Does Dry Cleaning Reduce the Life of Your Clothes? We’ve all heard statements like these from various sources – ‘dry cleaning is hard on fabrics’ and ‘dry cleaning causes clothes to wear out quicker’. But those statements couldn’t be further from the truth. 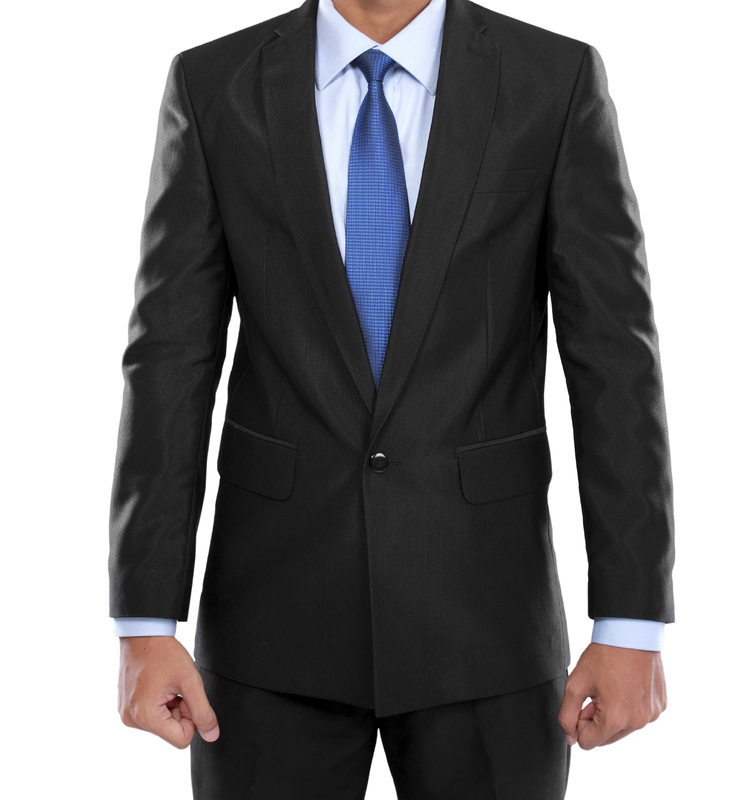 In fact, a study performed at The University of North Carolina at Greensboro subjected men’s suit fabrics to multiple cleanings. After the cleanings, they analyzed and measured the fabric and determined that “commercial methods of dry cleaning did not change the properties of the fabric.” But don’t just take our word for it, check out this report for more detailed information on their findings. Many spills are invisible at first and then oxidize over time, often leaving a yellowish stain. Stains also tend to set with age, and if left untreated for a long period of time, become part of the fabric. Not cleaning your clothes often enough actually increases the risk that a stain cannot be removed – a 20% increase after one week and a 47% increase after three weeks. One could argue that permanent stains make garments unwearable, ultimately causing them to be retired from our wardrobes more quickly. If every day products, like deodorants, toothpaste, make up, and lotions, end up on garments and are left for a long time, they can cause discoloration or color loss on the fabric. Promptly and properly cleaning garments after wearing removes those potentially harmful products. Ground-in dirt and soil are abrasive – almost like sandpaper – and cause fibers to wear down more rapidly. Insects are attracted to dirty clothes. Clothes that are worn, even for a short period of time, pick up perspiration, skin cells, body oils, and spills. These things attract moths, silver fish, and other pests that can cause permanent damage to your garments. The only way to remove the temptation from those pests is to clean your garments as soon as possible after wearing, and dry cleaning is an effective method when it comes to removing greasy food stains, makeup, dirt, and perspiration. On a personal note, my husband makes fun of me, often, on how fastidious I tend to be. I always want to be clean, neat, and tidy, (In my mom’s words, I always want to look presentable) and one of the ways I accomplish that is by taking good care of my clothes. But truthfully, he should make fun of me less because if he really stopped to think about it – taking good care of my clothes means that they will last longer and in the long run, save our family – and yours too – some money. 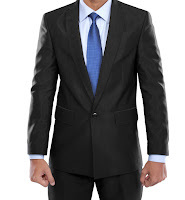 View our locations across NC and VA to get your clothes dry cleaned today. There is a Care Labeling Rule, enforced by the Federal Trade Commission, which requires manufacturers and importers to attach care instructions to all garments. The label must both contain regular care information/instructions and be attached in a way that it won’t become separated from the product. According to the FTC’s web site, many consumers read care labels before making a decision about purchasing a garment. Many washing machines these days have a ‘hand wash’ cycle, but use caution if you decide to go this route. Many garments that say ‘hand wash only’ are items that can easily stretch, snag, or lose their shape if washed in a machine – even on a ‘hand wash’ cycle. Also, top-load machines tend to agitate items more so than front-load machines. If it is a special item, don’t risk it. I bought this dress for a special event, knowing that it was a ‘hand wash only’ dress. I followed these easy steps, and it turned out beautifully. Use a clean sink or basin. I actually cleaned our bathtub and then used it. Check the care label to see if it recommends a specific water temperature. My care label didn’t specify, so I used cool water. Use a very small amount of a mild detergent, like Woolite (which is what I used), and gently swirl the item in the water for a few minutes to allow the soap to penetrate the fabric. Once that step is complete, rinse the garment thoroughly. Avoid rinsing it under running water because it could cause the fabric to stretch. Instead, drain your soapy water and replace it with cool, clean water, and gently immerse your garment in the water. Carefully lift your garment out of the rinse water and gently squeeze out the water. Of course if you are concerned about hand washing a special item by yourself, you can drop it off at any one of our A Cleaner World dry cleaning locations. Our trained staff will be glad to hand wash your piece for you and have it ready when promised. 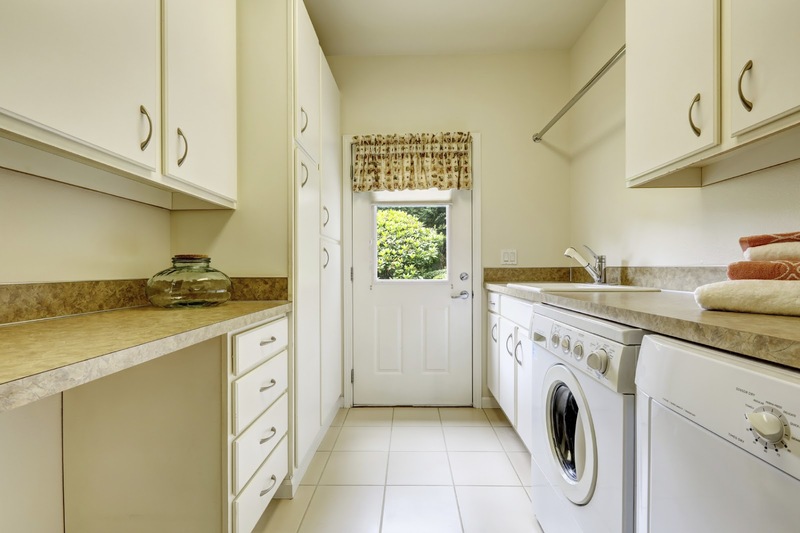 How Clean Is Your Laundry Room? I’m an obsessively clean person. I will spare you the details of my fanatical need to be clean, but I will admit that there is one room in our house that isn’t regularly cleaned from top to bottom – the laundry room. The three things I regularly do – clean the dryer vent after each load, mop the floor weekly, and run a bleach load once a month. That’s it, and it is evident by the layer of dust sitting on top of the washing machine. Just the other day I looked at the sink and realized I couldn’t remember the last time I sprayed it down with cleaner and then wiped it out. It’s a fact -- I neglect this room, and I suspect that I’m not alone on this one. Furthermore, because it is a fairly good-sized room with lots of cabinets, things tend to get shoved in there, also making it the most cluttered room in the house. If you are like me, you spend a lot of time in your laundry room. Wouldn’t it be nice if it were as organized and tidy as the other rooms in your house? Below are 5 easy things you (and I) can do make this room less chaotic. Remove the clutter. If it’s not related to garment care, then don’t let it hang out in the laundry room. 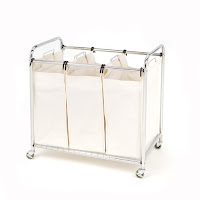 Organize your supplies and laundry. For instance, place cleaning supplies in a caddy or open-top storage container so you can move them around as needed. 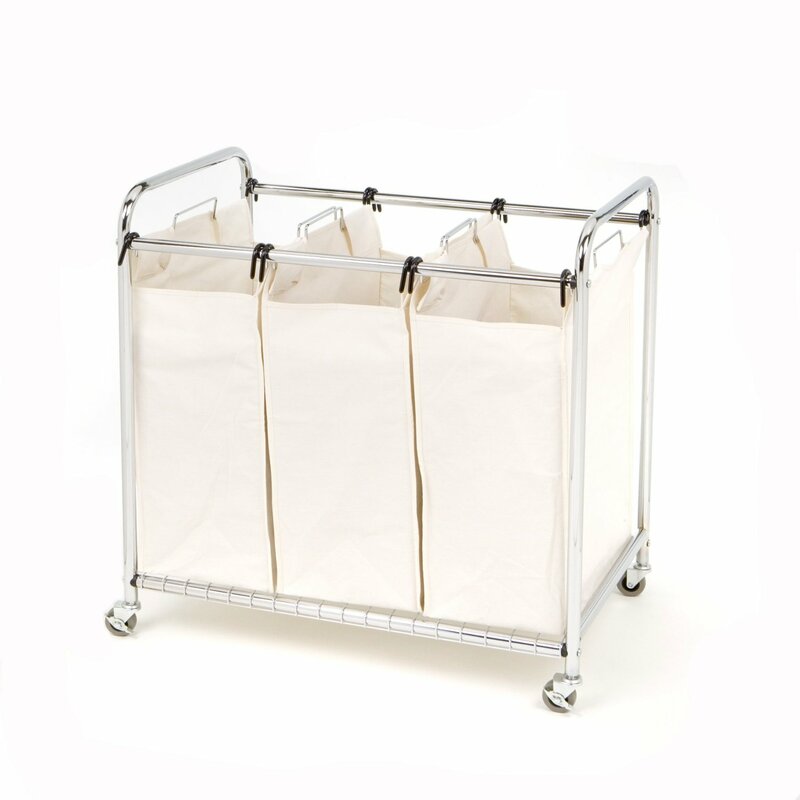 If you have the space, use three labeled laundry hampers or baskets so garments can be separated right when they come through the door. Make the most use of your space. Add shelves right above your washer and dryer, install a retractable clothesline for line-drying delicate items, and hang up your ironing board. Give the room a ‘once-over’. Take a dust mop and knock down cobwebs; wipe down shelves, counter tops, and the outside of your washer and dryer; wipe out the sink; run your washing machine through a clean cycle, wash the soap dispenser, and wipe down the inside of the machine after the cycle is complete; unhook the dryer hose and vacuum to remove lint buildup, remove any built up lint on the outside vent, thoroughly clean the lint filter, and remove any lint that has built up in the filter area; vacuum behind, between, and under your washer and dryer; and mop the floor. 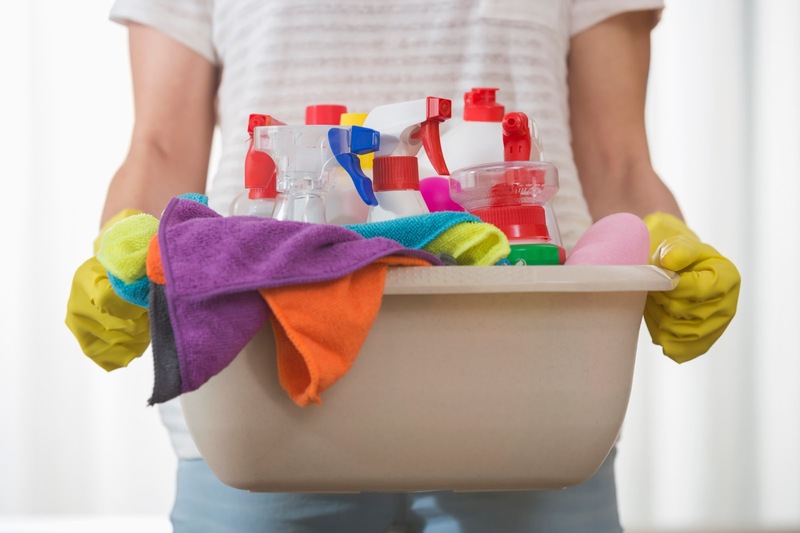 Keep it organized by setting up an easy routine to prevent having to do another major cleanup. We spend lots of time in that room; why shouldn’t the surroundings be pleasant and enjoyable? Someday, I plan to have a ‘cute’ laundry room – like the ones I see on Pinterest. In the meantime, at least it will be clean and less cluttered. If you have tips on how you keep your laundry room clean and organized, please share them with us on Facebook, Twitter, or G+. Mike Feudale, with A Cleaner World’s Restoration Dry Cleaning, recently met three female friends that had been renting a house together. The circumstances surrounding the meeting were rather grim – he had to go by their home to pick up a fire order. Sadly, they had a house fire – and didn’t have renter’s insurance. The homeowner had homeowner’s insurance, so the dwelling itself will be covered. Unfortunately, the contents of the home are not covered. The thought of needing renter’s insurance never occurs to them. They think the coverage is too expensive. They don’t see the importance of having it. If you are a renter, why should you purchase renter’s insurance? It’s actually pretty affordable. The cost of the policy varies by location and the value of the items being insured. The Independent Insurance Agents & Brokers of America reports that the average cost for renter’s insurance is approximately $12 per month for $30,000 worth of property and $100,000 of liability coverage. Liability coverage can be added to a renter’s insurance policy. It repays the renter in the event of a loss – and not just due to a fire. It may also cover things like damage from inclement weather, vandalism, water, and theft. Your landlord may require it, and may ask for proof of coverage. Mike said that many of the newer apartment complexes are requiring tenants to have renter’s insurance. Renter’s insurance not only covers your personal belongings in your residence but also if they are in your car or if you are traveling on vacation. It could pay for unexpected expenses associated with living somewhere else temporarily should your home not be fit to live in due to one of the covered dangers. Don’t wait until a disaster occurs before investigating renter’s insurance. Ask someone you trust for the name of a proficient insurance agent so that you won’t have to endure such a hardship should a disaster happen in your home.